Unserious: Lamar Alexander says GOP Ready to Deal with Climate. Really? Above, found footage of GOP Senator Mike Lee’s bizarre rant from the other day. This is what passes as “readiness to deal with climate change” among Republicans. The Senate votes today on the Green New Deal proposed by Democratic Congresswoman Alexandria Ocasio-Cortez. But it’s seen as a bit of political theater. The Republican majority wants to force Democrats in the Senate, especially presidential candidates, to declare whether they support the controversial measure, to which one Democrat, Connecticut Senator Chris Murphy, says this. CHRIS MURPHY: If they don’t like the Green New Deal, fine. Put up your own idea. But it really just – it smells so disingenuous, especially to young voters. CORNISH: Well, one Republican senator is putting up his own idea to tackle climate change. LAMAR ALEXANDER: I believe climate change is real. I believe humans are a major part of causing it. And we ought to do something about it. CORNISH: That’s Tennessee’s Lamar Alexander. The senator wants the government to fund a five-year project to spur development of green technologies. He’s calling it a new Manhattan Project for clean energy. ALEXANDER: We need to start building advanced nuclear reactors. We need to show other countries how to find natural gas the way we have. 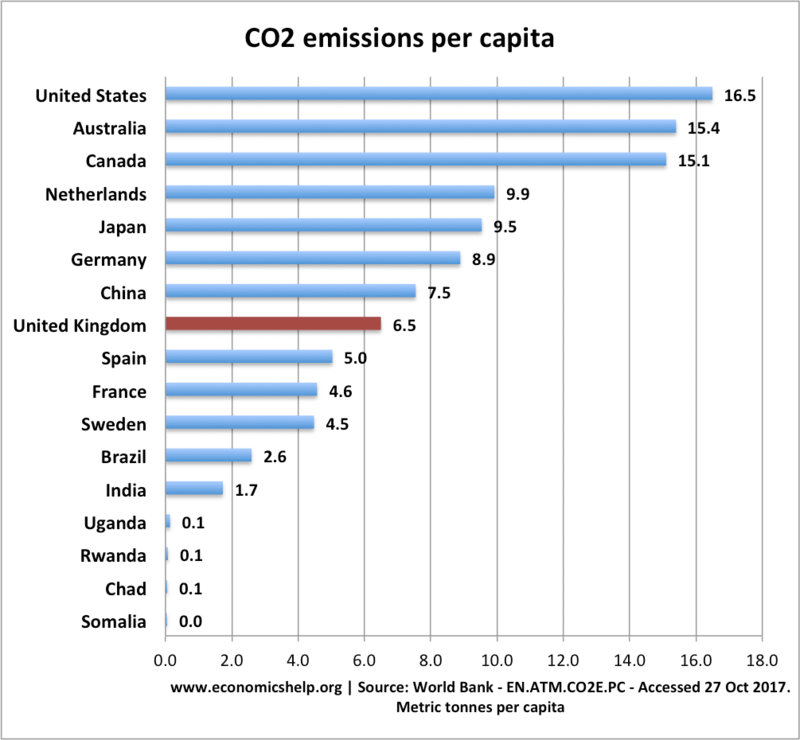 The United States leads the world in reducing carbon emissions. We need to find a commercially viable way to deal with carbon capture. So what we need is money for research and government leadership, which is what I’m proposing. CORNISH: You started this conversation by saying you believe in climate change. You believe that humans have contributed to it. And that is not always how members of your party have spoken at all. Do you see Republicans as ready to start a real conversation about climate change? ALEXANDER: Yes, I do. And I think we should. CORNISH: What gives you that sense? CORNISH: Well, just to jump in there, it is a resolution. CORNISH: …Bizarre and yours somehow more straight ahead? CORNISH: …In the one that was filed. ALEXANDER: Well – but the proposal was to deal with agriculture. And methane comes from cow burping. CORNISH: So I’m looking at the proposal. ALEXANDER: And that was a big part of the proposal. CORNISH: …Say anything about attacking cows. ALEXANDER: They’ve cleaned it up a little bit. ALEXANDER: But they also talk about – well, they talk about focusing on renewable energy, for example. ALEXANDER: And right now solar power has increased for – in our country. But it’s only 2 percent of our electricity. Wind is only 9 percent. We can’t run the country on solar power and wind. CORNISH: But could there be a smart grid? CORNISH: Could some of the other ideas in there be areas of compromise for you? ALEXANDER: Oh, sure. The areas that I mentioned I believe Democrats all could support – advanced nuclear, natural gas, carbon capture, better batteries, greener buildings, electric vehicles, cheaper solar, even fusion and even more money to do it. CORNISH: It doesn’t sound like you have that many areas of disagreement then. Why not consider the Green New Deal the start of a conversation not the end of one? ALEXANDER: It’s the start of a conversation but headed in the wrong direction because what they usually mean when they have this kind of conversation is, we’re going to close the coal plants. That’s not necessary. It really is a very radical proposal and provides a chance for Republicans like me or Democrats to take some of the things that we do agree with and focus on them. Let’s get on with it. I’m chairman of the energy appropriations subcommittee. Let’s focus on these 10 grand challenges. CORNISH: At this point, would you say that you feel like there has been a shift in the way people talk about this? And is that, in part, because of the Green New Deal proposal? ALEXANDER: I would answer that yes. I think it’s such a radical proposal and has attracted so much derision and caused so many Democrats political problems that it’s caused Republicans to jump into the fray and say, OK. We’ve got a better idea. So I think it’s good to have the debate. I hope we keep having it over the next couple of years. And I think I’d like to see the new Manhattan Project for clean energy be solidly bipartisan. But you usually start out in a political environment with partisan proposals. There’s nothing wrong with that at all. CORNISH: That’s Senator Lamar Alexander, Republican of Tennessee. Thank you so much for speaking with us. ALEXANDER: Thank you for your time. And the brave Mr. Alexander never would have started his own proposal without the Green New Deal appearing first. This is why Democrats HAVE to be pushing this issue at every chance. Eventually, the Republicans will rouse themselves a bit and start offering ‘ideas’ packaged as if they invented them. Unfortunately, this is the only way any actual legislation will be passed in this country. It won’t be enough, but it will be better than nothing. To me, the more radical the Democrats suggest as plans, the better. Establish a baseline for change that is completely out of reach, then the middled-out compromise will have some actual solutions. But if the starting position for climate change action from the Democrats is some milquetoast handful of taxes and/or a few dollars for innovation, the Republicans will only weaken that proposal further. Finally, there’s someone in Congress in Ocasio-Cortez who both understands the urgency of climate change action and the deeper game of politics, and is passionate about it. If someone like her isn’t supported, there’s zero hope for us (and by us, I don’t mean just Democrat Americans, but all people). Well said. The Democrats should push hard all the time until, as you say, the Repugnants are dragged kicking and screaming to the left, just as they have been dragging the country to the right for the past 40 years. Called Romney’s office and got a bit of a chuckle from the staffer that answered the phone when I suggested that “Uncle Mitt” needed to sit Lee down for a chat about proper senatorial behavior. A good point–in fact you point out The Foundational Myth of the false dichotomy, whether found in the Lesser Evil Gambit that keeps us lurching to the right in successive presidential (and therefore other) elections in the US, or in the choice between 2 strategies, both designed (by those put in place by the Lesser Evil Gambit) to avoid any meaningful action at all. If it’s not enough, is it really that much of a leap to the conclusion that it’s not enough? At what point will people in the US realize that not enough is not enough? and begin to do something that is enough? More than 10 years ago, in the context of discussions of the hopes for and dread of a Pearl Harbor moment on climate, I started talking about a String of Pearls–constant extreme weather, ecological and socio-political events that while more likely than a single stunning Pearl Harbor Event, and more likely to move individuals and states, cities and towns, wouldn’t move the right and therefore not society, because it would allow the right to condition the public to anything as long as they had enough time to normalize it. Whatever bizarre new things happen, they can be gotten used to, especially if someone is there explaining them away, distracting foolish people with shiny objects, and confusing them with utter nonsense that the people prefer over the truth. It’s discouraging being one of very few (even here) seeing, after more than a decade, that the only way to actually change the outcome–rather than do something that’s better though not enough–is with a massive peaceful revolution, completely dismantling the power structures of the country and the empire, and throwing BOTH halves of the oligarchy’s corporate duopoly out of power. It’s not about dragging the right kicking and screaming into wisdom, it’s about dragging the alleged left there in sufficient numbers to overthrow the right. They won’t. Ants really can’t move rubber tree plants. The people in Paradise were living comfortable, distraction-filled lives, and climate change wasn’t a high priority. The same with the people in New Jersey before being hit by Sandy or the recent bomb cyclone in the central US. After they’re hit, some small percentage become effective activists, and the rest just struggle to get their lives back. Yes, ants actually can move rubber plants, by chopping them into tiny pieces, only 20 times their own weight, and carrying them back home. People have accomplished similar things at other times. One party in the US is completely insane and must be removed from power; that party is the corporate duopoly made up of all federal Republican officials, most state Republican officials, and at least half of federal Democratic officials. About 2% of the colonists supported the US revolution when it started; others joined as it proceeded, a lot because of war-related oppression by the British. Even better at recruiting people is peaceful revolution, as shown by India, Czechoslovakia, Poland, Berlin, East Germany, the Philippines, and other places. Significant social and political change has happened many times because of the same kinds of actions that didn’t rise to the occasion of a revolution. We have a lot more than 2% of the US public already–maybe as much as 40% committed to serious enough change to help–if they’re organized and led effectively. Ants and rubber tree plants? Another verse of that great old song is perhaps more appropriate for Jeffy. Jeffy keeps trying to punch a hole in the dam with all his yammering about revolution. He mentions revolutions in India, Czechoslovakia Germany, and Poland, which countries are the #2, #14, #8, and #9 COAL producers in the world TODAY. I will yet again suggest that Jeffy read the terrific book BEAUTIFUL COUNTRY BURN AGAIN: DEMOCRACY, REBELLION, AND REVOLUTION, by Ben Fountain, ECCO, 2018 for a better understanding of the three revolutions that took place in the USA and how we are right now in the middle of another (and perhaps final) “burn” again moment. Will Jeffy ever understand that 2019 is NOT 1776, 1860, or 1932, the times that the three “burn again” revolutions remade this country? Look at the changes in population alone—-1776 (~3 million), 1860 (~30 million), Depression to WW2 (~123 to 132 million), 2019 (~327 million)—-look at the complexity of life and “corruptness” that capitalism has brought to our society (Jeffy DOES understand that). It’s going to be very hard, perhaps impossible, to do what needs doing in the time remaining before CAGW hits us. “High apple pie, in the sky hopes” are nice, but we are headed to a revolution that is going to be very painful and violent, akin to destroying rubber plants by chopping them up into tiny pieces. The full 15 minutes of Lee’s arrogance and ignorance are even more disgusting than the snippets in other posts. I CANNOT believe that the party leadership approved this—-if they did, it’s all the more reason for never voting for ANY Republican again. “But you usually start out in a political environment with partisan proposals. There’s nothing wrong with that at all”. (Nope, not as long as the Repugnant “proposals” win out over the socialist ones that will eliminate all airplanes and cows). I just watched it as well. I’m guessing many Republicans not only approved of it, but are cheering it now. Look at the comments for the video on the Youtube channel. So, it’s full of lies, of course, like when he says he believes climate change is a serious issue, then immediately launches into talking about Sharknado, but I’ll be a fool for taking the speech seriously and mention a few specifically. He builds his case for lampooning the GND based on two main things – that the GND calls for eliminating airplanes and cows. It doesn’t do that, of course. He’s cherry-picking a phrase from a poorly written ‘fact sheet’ that was released by the same day as the GND and then immediately pulled. The part about airplanes and cows was an aside trying to explain why the GND was aiming for net zero emissions rather than zero emissions. The writers of the resolution were aware that the elimination of all greenhouse emissions from the transport and agricultural sectors isn’t a possibility, and they never called for outright banning of either cows or airplanes. Lee says the GND doesn’t have a single serious solution for climate change. I’ve read it, and the GND is essentially a document suggesting end goals for the government to work towards. The goals aren’t spelled out as specific policies because that is the job of succeeding legislation, but they are clear as to what we should try to achieve as a result of that legislation. I personally think several parts the GND couldn’t be realistically implemented in our economy or government by 2030, not because they are bad ideas (they are mostly great ideas as far as fighting climate change) but because we Americans simply aren’t that forward-thinking as a people and because an economy reliant on rapid growth to stay afloat would have difficulty (slight understatement) handling such rapid change and not crashing. It would be a finely controlled balancing act to actually pull it off, and again, I don’t think we’re that capable or intelligent. But then, the GND was (past tense as it’s already dead) a resolution, not a bill, and as a set of principles I’d say it goes a bit further towards a climate change solution than ‘getting married and having babies’. Thanks for that excellent summary. It will be useful arguing against the many trolls who have adopted these nonsensical arguments. Growth causes enormous change. This economy has been going through rapid and accelerating change for centuries. The programs suggested by the GND and by its proponents would allow people to adjust better to the changes to come, with far less suffering. At least, there would be far less real suffering, as the increase in imagined suffering by the rich who must become to some degree not rich will be tremendous. They’ll scream as if they’re being dismembered when all that’s happening is they’re losing their illusion of superiority. The GND is hardly dead, it’s absurd to say it is. If we don’t implement it, the changes will be unimaginable and unbearable and are likely to lead to the collapse of civilization and most ecosystems on Earth. And it’s possible for us to do it in 10 years or less; we need to have the courage and determination to remove the insane right wing from power and establish a government that will do what the people want and need. Okay, so we just need to have a coup, change our entire government to an authoritarian regime where half of the population has no representation, force our corporations to adopt the new regime’s policies in lockstep, or else completely nationalize them, hope that a global banking system which requires growth to not cataclysmically implode will hold up with these policies, hope that these changes won’t inspire a bloody revolution from the same part of our population with all the guns, do it all in ten years, and hope that the rest of the world, especially China and India, does the something similar. Check. That’ll happen. Dude, we’re screwed. Get used to it. Embrace it. The best we can hope for is that the future will be slightly less sucky than it might otherwise be. For that to happen, a firm grip on reality will be a better ally than deluded fantasy. But thanks for the compliment. Please do use the above where you can. We’ve waited so long to do anything, I have absolutely no doubt the near future is going to be the worst time humanity has ever gone through. And this is a species who lived through the plague, the 30 years war, and the 1950s. Whether the deaths reach into the tens of millions or the billions depends on what we do in the next 7 years. I’d like to at least die knowing I did everything I could instead of flipping back and forth between the 2 sides of the passive hope/despair coin. And yes, it’s exactly so we and near-future generations can have a better grip on reality that I talk about needing to heal the psychological ills of the present. PS The answer to Jeffy’s “flipping between despair and hope” is the one he suggested to me a couple of years back when I dared to prick his pomposity. Off yourself, Jeffy—-I will be glad to loan you a gun and show you how to use it. What? US carbon emissions are rising again! Maybe Lamar doesn’t know that there is a world outside the US. And he definitely doesn’t know what accountability means. But of course Audie didn’t challenge Lamar on his bare lie. 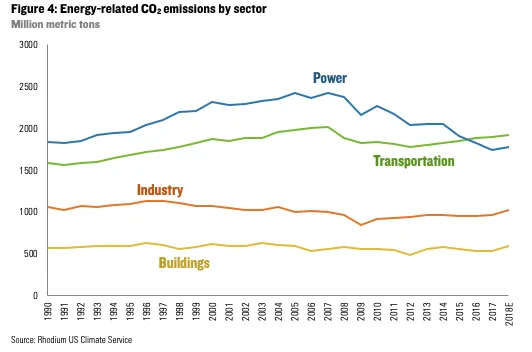 US emissions from the power sector dropped, partly after the recession, and partly because fracking had radically lowered the price of gas – often below the cost of drilling it, since it’s often just a by-product of oil prospecting, and gluts crash prices. Trouble is, emissions from methane have gone up a lot, and methane is short term a much more potent greenhouse gas. Worse, the Trump administration wants to cancel regulations on how much methane leaks from drilling and from pipelines. The lesson they took instead, it seems, was that Dennis Kucinich stood alone for universal health care, so Obama and the Democratic leadership collaborated with Republicans to punish him, and finally remove that progressive thorn in their side, by gerrymandering him out of congress. Tales of the corporate duopoly, protecting its position and privilege. Psychopaths, all. It may be the least of the problems of this insane idiot, but I think he doesn’t know what “hippocampus” means. Small farmers having a hard time in the U.S Midwest – ironically they voted for the Trumpest GOP – wonder how they’ll vote next year. (not holding my breath). Hope the dems can get their act together this time around.